You are responsible for monitoring and assessing the investment activities within the pension funds. This varies from the organizational set up of the investment department till the execution of the investment process. The Investment Office (IO) is a shared service and centre of expertise for the insurance business units (BU) of NN Group. The IO is primary responsible for the full investment process: starting from defining the investment strategy, translating it into an investment plan and coordinating the implementation. Geographically speaking the business units are located in the Netherlands, several other European countries and in Japan. In addition to managing General Account portfolios the IO is setting up an investment oversight function for the Pension Fund portfolios managed within NN International. These Pension Fund portfolios are located in seven different European countries and have a total AUM of 18 Bio Euro. To strengthen the team we are looking for someone who is capable to monitor and assess the investment activities within the pension funds. This varies from the organizational set up of the investment department till the execution of the investment process. As we are active in different countries an international and open mindset is required to cooperate with the local investment teams. You will work in a team of 5 professionals, including yourself, that all have their area of attention. The Investment Team focuses on managing the relationship between the Business Unit, the asset manager and NN Group. This includes amongst other items the alignment of investment strategies, review of investment mandates, monitor investment activities and assess investment performances. You have a minimum of 5 years working experience, preferably within the investment or risk area of a financial organization. You are a structured, proactive and capable team player, ready to take on your responsibilities within the team and able to work and network across multiple teams. You have a strong affinity working with numbers, good analytical and problem solving skills. Discussing with local investment teams and work in an international environment is something you like to do. You are fluent in English, both verbally and in writing – knowledge of Dutch is an advantage. You have a relevant Masters’ degree. As a “Portfolio Manager Pension Funds” your personal qualities will play a decisive role. 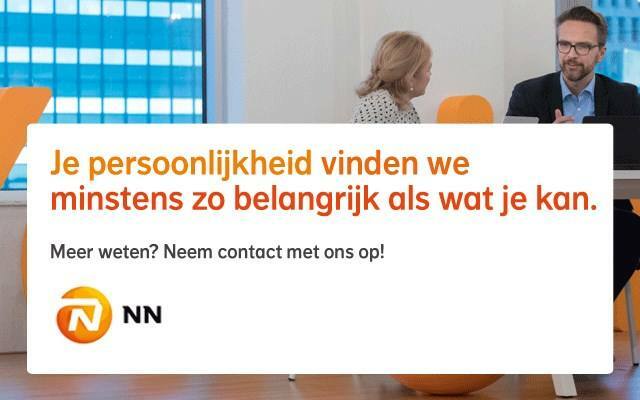 Please send your application for Portfolio Manager – NN Group Investment Office at NN Group in The Hague including your CV via our website.